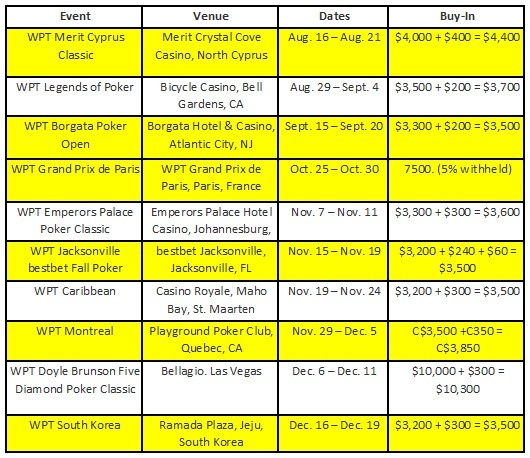 The WPT have announced their plans for the rest of 2013, and it really is going to be global six months. 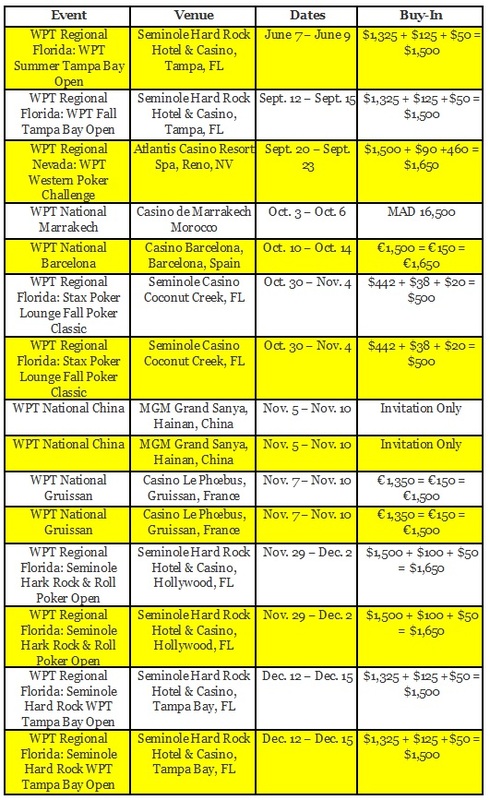 With events covering North America, Europe, Africa and Asia, the World Poker Tour is really living up to it’s name. The first of these will be in Europe, with the WPT Merit Cyprus Classic taking place between the 16th and 21st of August. Other notable events include Johannesburg, South Africa, Jeju, South Korea and the WPT Doyle Brunson Five Diamond Classic in Las Vegas. A full copy of the event schedule can be found at the bottom of this article. The WPT has grown from 11 Events back in 2002/3, with most of them in and around Las Vegas, to nearly 60 for Season XII covering Europe, US, Canada, Asia and even Africa. The lower buy in Regional and National Tour events seem to have been a success, and with WPT Tournament Directors providing oversight for both the tournament structure and overall delivery, they are determined to maintain the quality.